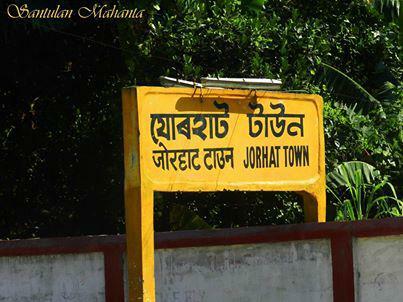 There is good news for joggers and walkers and of course health freaks in Jorhat with the district administration officially proposing to declare the stretch of road from Baruah Chariali to Gandhi Park a walking zone. The declaration will be made at 5 am on September 3, the birthday of Arjuna awardee Bhogeswar Baruah, district administration said in a statement. No vehicle will be allowed to ply on the road known as Barpatra Ali from 5 am to 7 am, it said. Several organisations and citizens had sought a walking space clear of zipping vehicles in this cramped town of programmes for quite some time now and this walking zone is sure to be welcomed by all. The day will be ushered in a carnival spirit with a slew of programmes and competitions having also been planned by the administration and will be held at different spots on the Barpatra Ali stretch. A football match will be held at the Jorhat court field from 6 am. There will be a Borgeet competition in which the contestants will have to be over 15 years age. The groups for Dihanaam Contest cannot exceed ten women. The Krishna Nritya competition will be for children below 10 years. It may be mentioned that the day will be celebrated as Janmashtami in the country and in some places of Assam. There will also be a photography contest and the camera used would have to be a DSLR. A drawing competition and cultural event has also been planned. All those who wish to compete should register beforehand and may contact 9365479110 and 9435694856. Bhogeswar Baruah was the first Assamese athlete to win a gold medal in the 1966 Asian Games.